Carl Roberts’ life has been one of disaster, disappointment and triumph. When Carl was three months old, his father crashed his Royal Air Force jet and was killed. This marked the beginning of an unsettled life. A second death and a divorce saw another three fathers and three countries move through his life. Throughout his unsettled childhood he found refuge in making things. Clay from the garden was made into clay pots and toilet paper rolls were made into papier-mâché dragons. He completed his schooling at De La Salle in East London (RSA) but failed his matric. As a result he was kicked out of the family home. Carl walked out went to the East London Fire Department where he found employment and a place to stay. Carl has always made things, at school, at work and three jobs and five years later, Carl started making things but his time as an art student at Rhodes University. This was a success as Carl graduated with academic half colours and was appointed as a lecturer at Rhodes University. In 1993 he graduated with a master’s degree in Fine Art, and two years later was a full-time sculptor with a global following. Carl’s work has been exhibited in galleries around the world. These include works as part of the permanent collection of a number of public galleries, (Durban Art Gallery, Tatham Art Gallery, Pretoria Art Museum, Natal Provincial Administration Ann Bryant Art Gallery Collection, Oliewenhuis Art Gallery) some academic intuitions (Rhodes University Collection and Natal Technikon Collection) and corporate collections, (ABSA Bank). 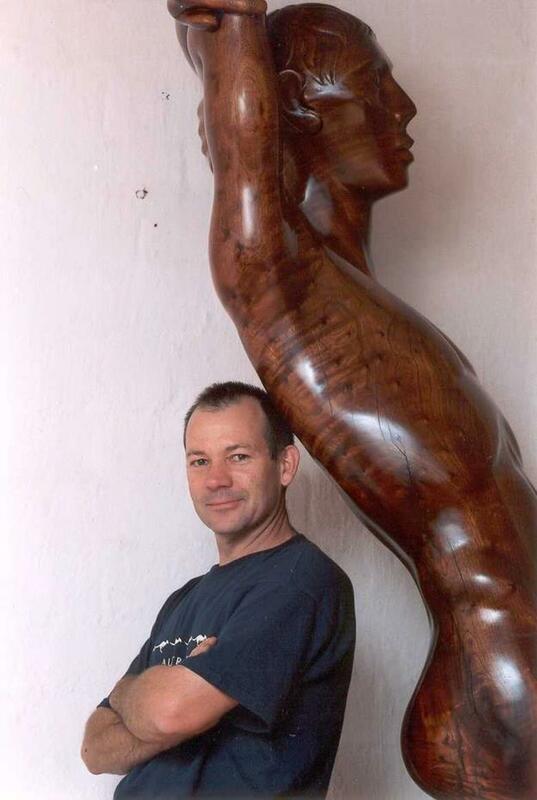 His sculptures have found their way into many private collections in eighteen countries on all five continents. His biography ‘Meeting Carl Roberts’ – written by Neil Wright and available from Carl or The Book Collector, gives you further insight into the man behind the art. Carl lives and works in Hillcrest, KwaZulu-Natal.